This special skill makes her a null and very valuable to Los Angeles’s three most powerful magical communities, who utilize her ability to scrub crime scenes clean of all traces of the paranormal to keep humanity, and the LAPD, in the dark. 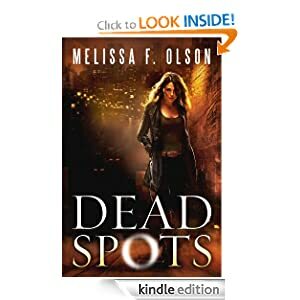 But one night Scarlett’s late arrival to a grisly murder scene reveals her agenda and ends with LAPD’s Jesse Cruz tracking her down to strike a deal: he’ll keep quiet about the undead underworld if she helps solve the case. Their pact doesn’t sit well with Dash, the city’s chief bloodsucker, who fears his whole vampire empire is at stake. And when clues start to point to Scarlett, it’ll take more than her unique powers to catch the real killer and clear her name. NOTE - If you're reading this message, you've probably got a smartphone, computer, or iPad. Marylou loves everything about Herbie—how his slime trail glistens in the dark, how he can stretch himself thin to squeeze inside the cellar window, and how he always finds the juiciest tomatoes. 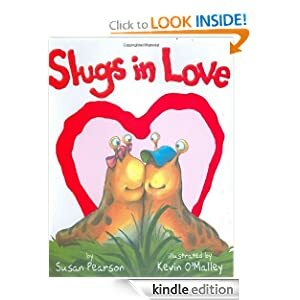 But Marylou is a shy slug. How can she get Herbie to notice her? Find out how Marylou woos her beloved in this must-have love story that’s perfect for Valentine’s Day. 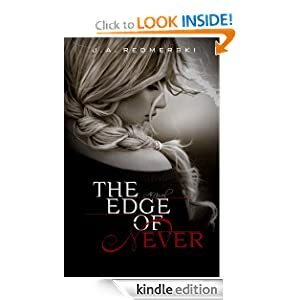 -- Twenty-year-old Camryn Bennett had always been one to think out-of-the-box, who knew she wanted something more in life than following the same repetitive patterns and growing old with the same repetitive life story. And she thought that her life was going in the right direction until everything fell apart. Determined not to dwell on the negative and push forward, Camryn is set to move in with her best friend and plans to start a new job. But after an unexpected night at the hottest club in downtown Raleigh, North Carolina, she makes the ultimate decision to leave the only life she's ever known, far behind. But with Andrew, Camryn finds herself doing a lot of things she never thought she'd do. He shows her what it's really like to live out-of-the-box and to give in to her deepest, darkest desires. On their sporadic road-trip he becomes the center of her exciting and daring new life, pulling love and lust and emotion out of her in ways she never imagined possible. But will Andrew's dark secret push them inseparably together, or tear them completely apart? 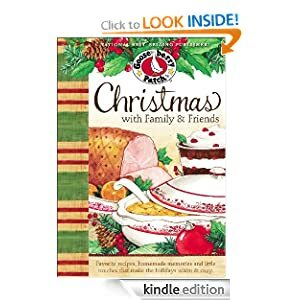 -- Just imagine the aroma of homemade gingerbread cake, the savory taste of bacon-wrapped chestnuts and the festive fruitiness of Santa Claus cranberry punch. For Christmas dinner, try rosemary-garlic turkey alongside cranberry-pecan stuffing. There’s a whole chapter of favorite cookie recipes and you’ll treasure the chapter of memories too! NOTE - Before purchasing Kindle Books, make sure that it is in fact still on sale. Though on sale at time of posting, prices may change at any time. Be sure to verify the “Kindle Price”, before purchasing. If you do happen to buy a book that you thought was on sale, you can return the book within 7 days for a full refund.